Are you and your family coming to Myrtle Beach for the holidays? There are plenty of holiday things that you and your family can take advantage of this year to help celebrate the holiday season. And if you happen to be staying in one of our 2-Bedroom Oceanfront Condos you will be close to many of the festive things to do. With all the fun festive things that are happening around Myrtle Beach this year, you and your family will have an all-access pass to all the fun holiday events. Even though this event is in Murrells Inlet, it’s a holiday highlight to many locals on the Grand Stand. You and your family can head over to Brookgreen Gardens and see it come to life among the soft glow of more than 5,000 candles and sparkling lights. Walk along the paths with a warm cup of cider, listen to the sounds of hand bells ringing and carolers singing. Come celebrate the Nights of a Thousand Candles with your friends and family to help celebrate the holiday season this year. The event is scheduled from 3:00 pm to 10:00 pm on select nights from now until December 22, 2018. Watching Christmas shows during the month of December can be one of the best things to do in Myrtle Beach during the holidays. If you are looking for a Dinner Show, then we suggest heading to Pirates Voyage for a fun festive show. We know of two best shows that pull out all the stops on their holiday productions. The two that are known as the best on the Grand Stand are Carolina Opry Christmas and The South’s Grandest Christmas Show at the Alabama Theater. Don’t miss either one of these shows this holiday season! Come and help celebrate the Christmas season at the North Myrtle Beach Park & Sports Complex. Open from now until December 30, 2018 you and your family can drive 1.5 miles to see the sparkling and dazzling lights on display. There will be around 20 different animated figures and different holiday scenes that come to life. 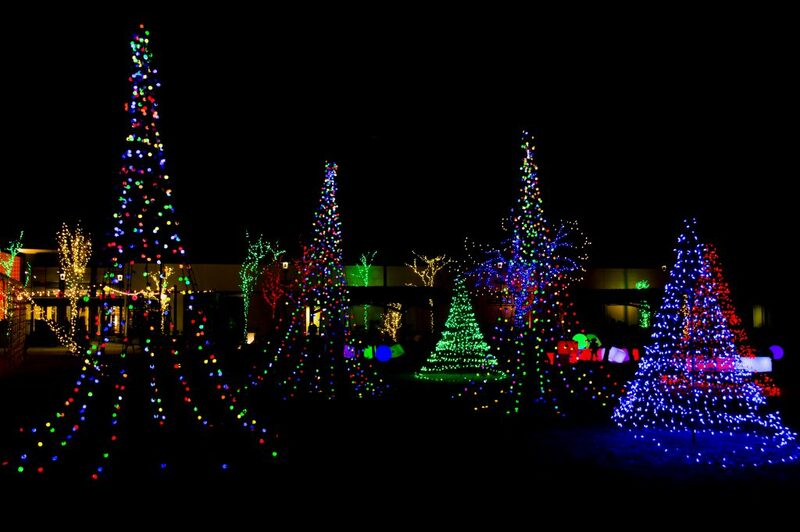 And when you have finished driving through the light show, go visit Santa’s Village for some extra special fun. You can enjoy some village treats, ride on Santa’s Express Train, slip & slide down Santa’s Super Slide and Ice Skate the night away. 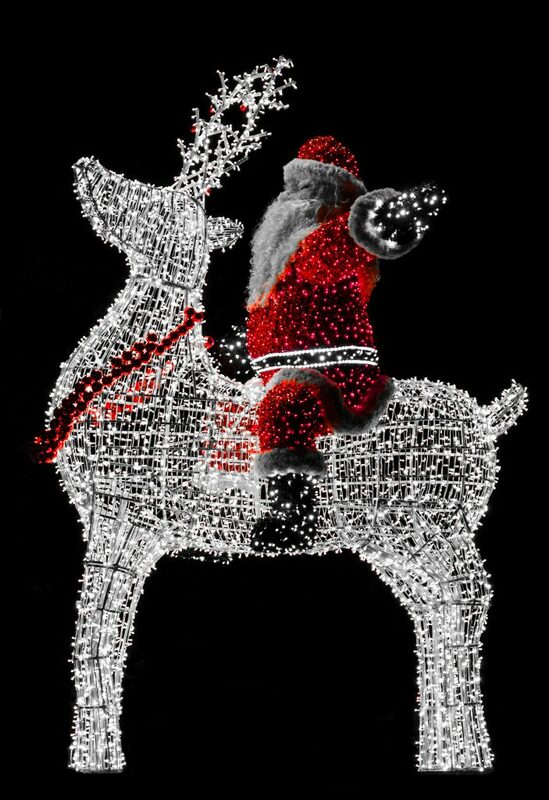 And just to help make the night extra special bring your camera because Santa will be there for you to visit with! In case you haven’t finished your shopping up before the holidays hit, then we know the perfect places you can do some shopping. You and your family can head over to Broadway at the Beach to get in some shopping while enjoying some holiday cheer. You will be able to enjoy the festive decorations they have there all while you are shopping. If you’re looking for more shopping there are the malls, Tanger Outlets and Barefoot Landing that you can shop at as well. So many different options to choose from when you visit Myrtle Beach. There are many other festive things that you and your family can enjoy while you vacation in Myrtle Beach this Christmas season. With so many different events and activities to choose from we thought these would be a good start. The holidays are almost here, so book your next Myrtle Beach getaway today in one of our 2-Bedroom Oceanfront Condos. 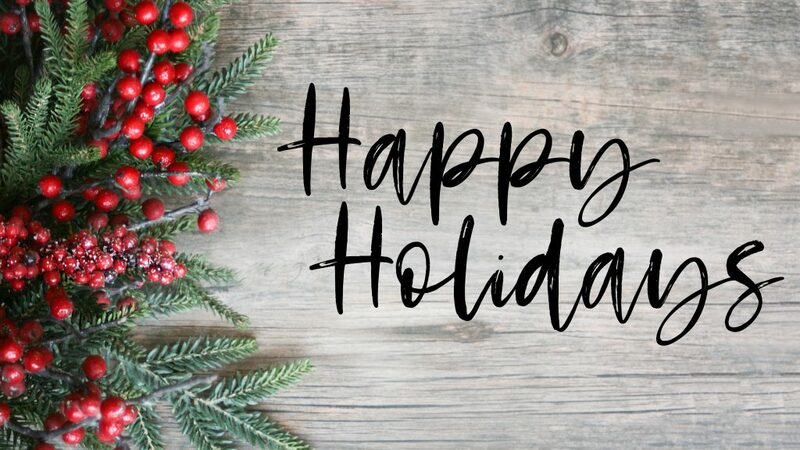 We at Sandy Beach Oceanfront Resort hope that you and your family enjoy the holidays this year! First off we know many of our readers are experiencing the aftermath of Hurricane Florence. Our hearts go out to everyone as they work to return to normal life, and hopefully that’s soon. Much of the coast of North Carolina and immediately inland are still feeling affects of the Hurricane. We just want to pass along this link to the American Red Cross Hurricane Florence Relief Fund as a show of support. Myrtle Beach ended up being spared some of Florence’s more destructive forces, and thankfully we’re enjoying some tranquil weather. Clean up along the Grand Strand has been minimal and our resort is in perfect shape. After Hurricane Mathew two years ago we’re extra thankful and heart broken for the coast to our north and inland as they recover. It’s forecasted to be rather warm and sunny, so please do consider a stay, we’d love to have you. Stay safe, and we hope to see you soon. Hurricane Florence is heading our way, and although of this writing nothing is certain, we want our guests to be prepared for the storm. We’re no stranger to these storms, and preparing for the worst is the best thing to do. Hurricane Florence is expected to be a long lasting storm with tropical storm force winds arriving as early as Thursday, and the storm could last well into the weekend. Stay tuned to local emergency services as Florence approaches and take these warnings seriously. If you live near the coast or in affected areas projected to get lots of rain, be sure to evacuate should the order be given. Make sure you regularly check the above resources to stay up-to-date on the expected path and recommended safety precautions. If you are expected to be in the path of the storm be sure to prepare your own Hurricane plan using South Carolina’s official guide as a resource. Remember, the best option is to get out of harm’s way if you are under an evacuation order! More updates to come after the storm. Stay safe!